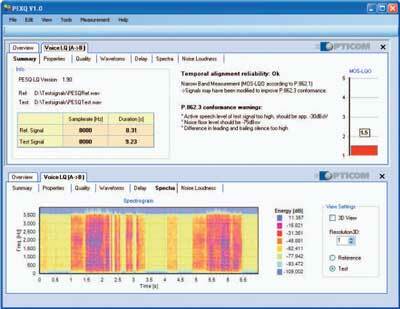 > Product Overview PEXQ is OPTICOM’s latest product for Windows offering a complete portfolio of quality measurement tools for voice, audio/visual and data payload analysis based on human perception. PEXQ provides mandatory features in the area of R&D for the development of new multimedia codecs as well as for multimedia equipment manufacturers. Besides lab testing PEXQ is also ideal for network operators and carriers to measure quality of service. PEXQ is founded on well established internationally standardized measurement algorithms such as PESQ (ITU-T Rec. P.862, P.862.1 (narrow band), P.862.2 (wide band); Perceptual Evaluation of Speech Quality) and completely new metrics for video quality testing like PEVQ (Perceptual Evaluation of Video Quality). The current version offers measurement algorithms for voice signals (P.862.x, ECHO and PESQ-TQ) and for video signals (PEVQ). Measurement algorithms for data i.e. web-browsing (PEDQ) and for audio signals (PEAQ) will be available very soon, too. Combined evaluation of audio and video information to form an overall multimedia quality estimate as well as metrics for lip-synchronicity and many more. Providing the complete quality picture of a real life telephony situation considering the aspects of listening and talking quality such as echoes. Only a few clicks are needed to run a measurement. Charts and diagrams help you to interpret your results quickly. Watch your video sequences with additional diagnostic information such as frame differences of degraded and original sequence after a temporal and color alignment. Let your PEXQ suite do the work and have it configure your measurement setup automatically. Once you have configured your setup you can save your settings to a configuration file (XML) and repeat your measurement with the exact same settings without the need to reconfigure PEXQ again. Archive your measurements to an XML-file and if you want to reanalyze your data again simply import your results again to PEXQ. Copy your measurement results to your documents via the MS Clipboard. The new PEXQ suite is available as a stand-alone software solution for lab testing under MS Windows as well as for OEM licensing for T&M manufacturers and system integrators. Evaluate hundreds of test files in batch mode by using PEXQ’s command line functionality. Acquire data streams, run the measurements and analyze the results all in one single tool! 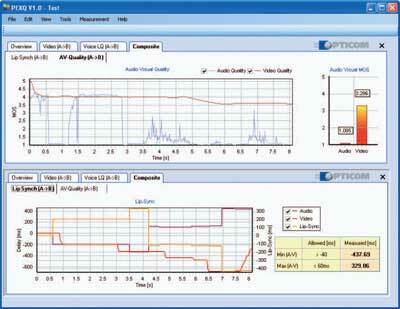 PEXQ will provide you with a complete multimedia measurement solution. For example you will be able to listen to your wav-files. The table above provides you with an overview of the currently employed and future features of PEXQ. *The OPTICOM Advanced OEM Developer Toolkit is a set of software libraries containing measurement and signal preprocessing algorithms. 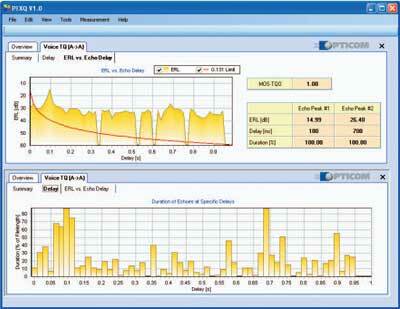 OPTICOM’s OEM software libraries are available for Windows and Linux. of test signal (lower diagram). Note the easy configurable tab selection for multifaceted result views.